The Sheila McWattie Women’s Performance Stage, once again hosted and organised by AJ Paterson, returns to the heart of Brighton Pride this year with a combination of spellbinding performances, enchanting sounds and unique community atmosphere. “I am truly happy to be organising the Shelia McWattie Women’s Performance Tent,” said AJ as she gets set for a day in honour of one of our city’s brightest lights. “This wonderful woman paved the way to put women performers at Pride, shining a light on our community’s wonderful talent and it is fitting that her name is honoured at Brighton Pride with yet another amazing line-up”. 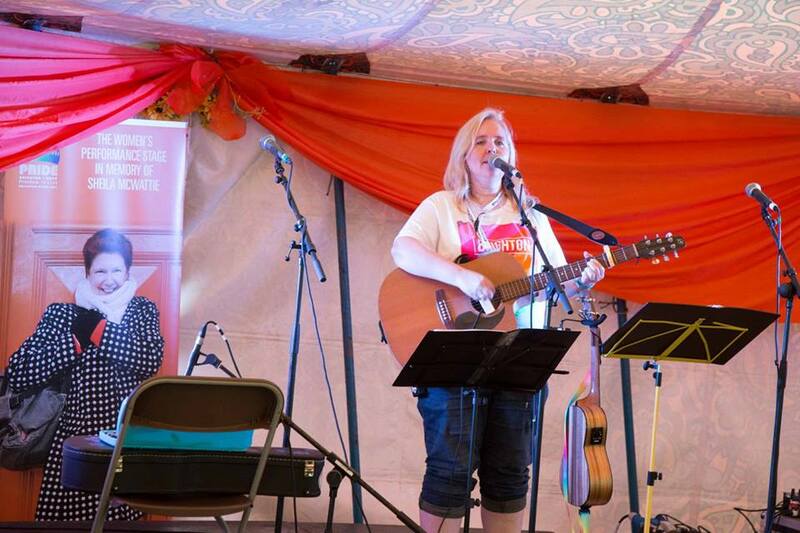 The Sheila McWattie Women’s Performance Stage will being another day of amazing spoken word, stand up comedy, poetry, cabaret and a fantastic array of musical entertainment. A fitting tribute to Brighton & Hove’s much-loved women’s rights activist Sheila McWattie.